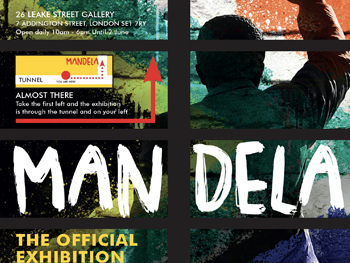 Nelson Mandela: The Official Exhibition now open at 26 Leake Street Gallery, London SE1 7NN (enter via 7 Addington Street, London SE1 7RY). 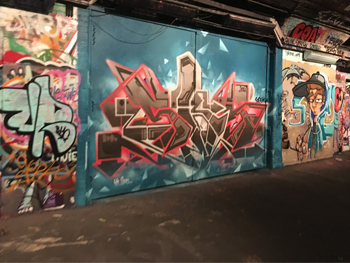 Fantastically situated near Waterloo station, the South Bank and the historic Leake Street Graffiti Tunnel, 26 Leake Street is transforming the railway arches under Waterloo station into London’s most exciting new exhibition and events venue. For more information about 26 Leake Street, please visit www.26leakestreet.com. Nelson Mandela: The Official Exhibition is open daily from 10am – 6pm. Entry time slots are booked in half hour periods on the hour and half hour. The Last Admission is 5pm. Please visit www.26leakestreet.com for information on evening events and private parties in conjunction with the exhibition. Leake Street gallery is easily accessible and is just a five minute walk from Waterloo train station. Follow the road round to the right, keeping Pret on your right hand side and continue straight ahead onto Lower Marsh. Continue into the Graffiti Tunnels and a third of the way down take the first left past Banh Bao Brothers restaurant. 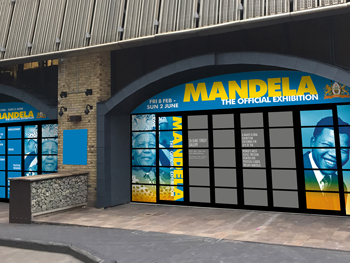 Follow the link tunnel round and Mandela: The Official Exhibition is on your left. Turn left at Addington Street and walk straight ahead past the Park Plaza Hotel and 26 Leake Street Gallery is directly in front of you. 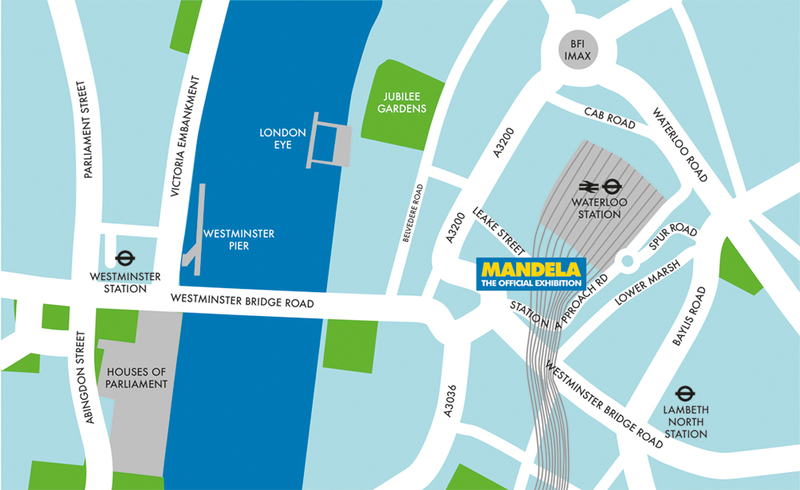 Take the first turning on your right and follow the link tunnel round and Mandela: The Official Exhibition is on your left. If you are arriving into Waterloo train station, simply turn right out of the main entrance onto York Road and continue straight down until you reach waterloo roundabout at the corner of Addington Street turn right and walk straight ahead and 26 Leake Street Gallery is directly in front of you.